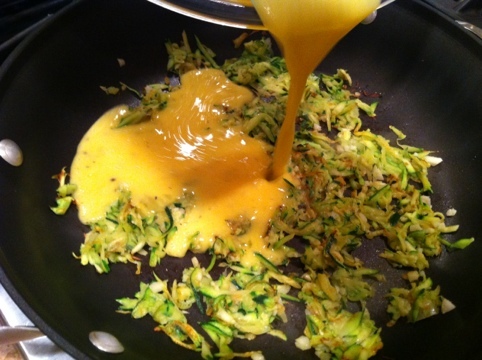 zucchini frittata | Is there any wine left? Classes just started last week and Whit and I are already knee-deep in projects, presentations and readings. 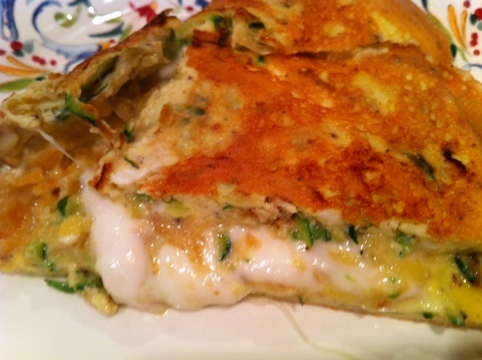 We wanted a quick dinner tonight so I made a zucchini frittata. 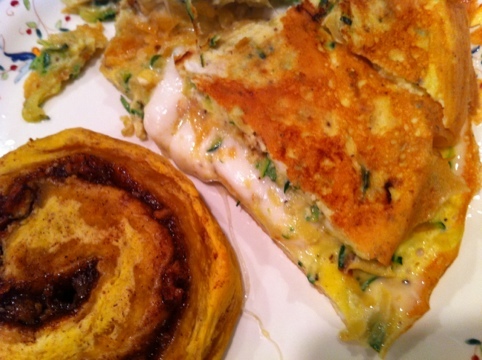 If you have eggs and any vegetables in your refrigerator, you too could have a frittata for dinner! 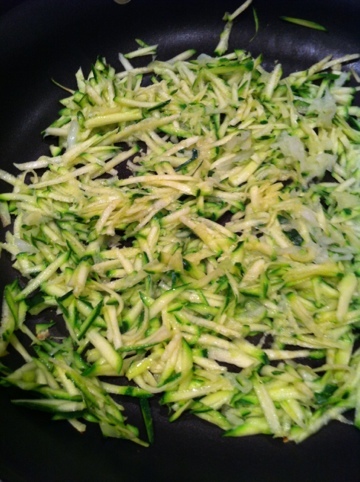 I started by grating a zucchini and half of a yellow onion on a box grater and sautéing them over medium heat for 3-4 minutes. I added 2 minced garlic cloves and cooked it all for a minute more. Then I added 5 beaten eggs (to which I had already added a tablespoon of half-and-half) to the pan and let it cook for 4-5 minutes. Once the eggs looked like they were almost cooked, I scattered pieces of fresh mozzarella and crushed Zapp’s chips over the top. Then I stuck it in a 400 degree oven for 5 minutes. Once I pulled it out I inverted it onto a plate and folded one half over. I love how the bottom got crispy and the inside was still soft! And the crunchy chips added awesome flavor and texture. 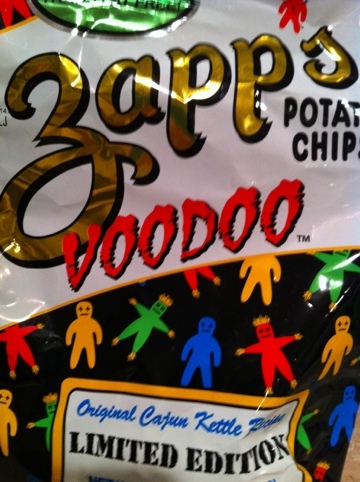 I love this flavor of Zapps! Anyway, scan your fridge and see what you could throw in a frittata. Almost any combination of veggies would be great – especially if topped with a little cheese! Looks right down my alley with the Zapps and easy enough for me to make!